A band so big and an album so momen­tous that one show just won’t do. 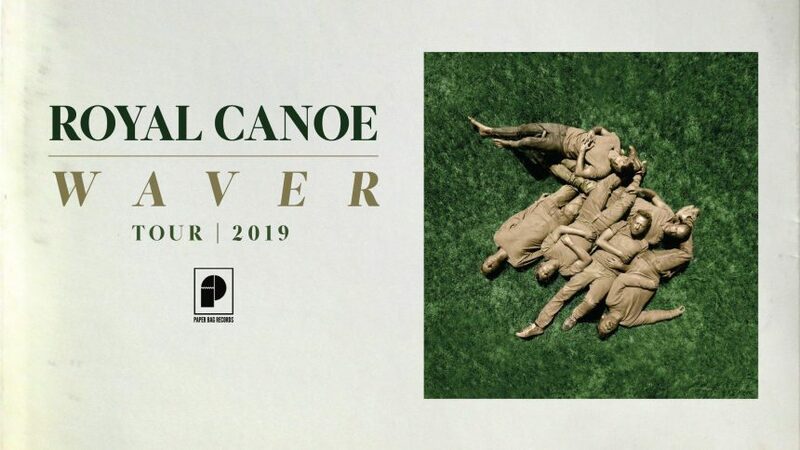 Winnipeg’s Roy­al Canoe cel­e­brate the release of their lat­est album, Waver over two nights at the West End Cul­tur­al Cen­tre on Fri­day March 29th and Sat­ur­day March 30th. Hav­ing honed their live show tour­ing with the likes of Alt-J and hav­ing teased the great­ness of this album with their first three sin­gles, this is a show not to be missed and you have two oppor­tu­ni­ties to check it out. Advance tick­ets are $30 plus fees for Gen­er­al Admis­sion and $35 plus fees for Mez­za­nine seat­ing and are avail­able now at the West End and online at Eventbrite​.com so get yours and cir­cle your cal­en­dar for Fri­day March 29th and Sat­ur­day March 30th as Roy­al Canoe present the Waver release par­ties at the West End Cul­tur­al Cen­tre, proud­ly pre­sent­ed by 101.5 UMFM.